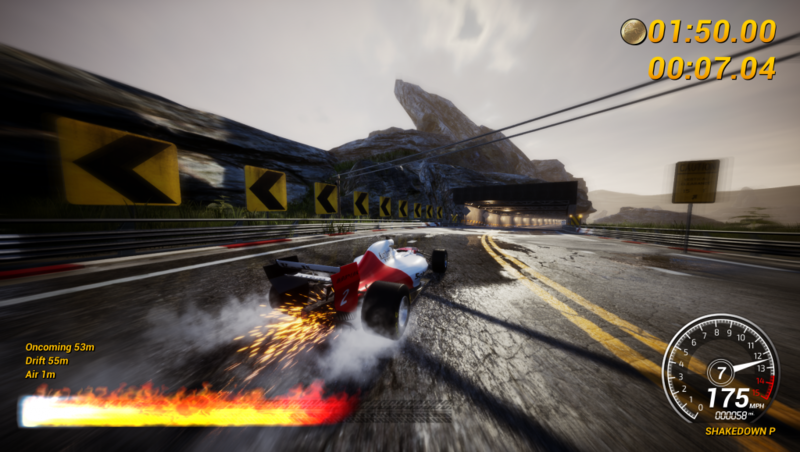 Graphics aside, Three Fields Entertainment’s Dangerous Driving feels like a racing game straight out of 2005. 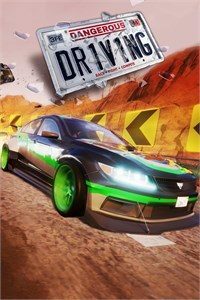 From the UI to the focus on speed, thrills, and arcade-like action as opposed to realism, the game certainly elicits a feeling more akin to Project Gotham Racing and Burnout, which this game’s developers created at Criterion, as opposed to modern titles like Forza Motorsport 7 and The Crew 2. 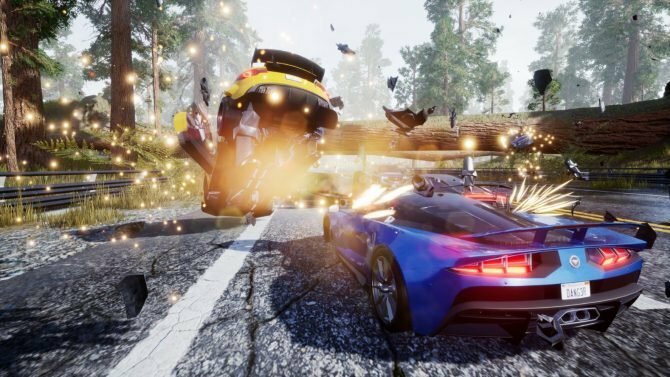 That lighthearted niche of racing games has been malnourished recently, which helps Three Fields Entertainment’s Burnout successor stand out in a year that will mainly contain standard racing games. For those looking for a new game to scratch that Burnout itch, Dangerous Driving delivers. It is a bit rough around the edges, likely due to being an ambitious game from a smaller studio, but there’s a racing game tucked inside that will fill a void that you may have not noticed was missing. While other racing games pride themselves on a multitude of licensed cars, music, and tracks, Dangerous Driving has a different approach. Cars aren’t tied to licensed brands; they’re split into classes (Sudans, SUVs, Coupes, Supercar, Hypercar, Formula DD) and variants (Tuned, Advanced, Prototype, Cop Car), which are unlocked by playing certain modes. Some cars even do better in certain modes when compared to other others, like how Tuned vehicles are best suited for Heatwave and Cop Cars for Pursuit. While the lack of brand recognition may be disappointing to some, Dangerous Driving features a neat variant to this system that is definitely more budget friendly while also being more interesting from a gameplay perspective. This same mindset is carried over to the game’s soundtrack, or lack thereof. Outside of Toni Halliday’s “Rebel Tattoo,” Dangerous Driving does not feature any licensed music. When playing normally, the only sounds to accompany players during races are those of cars and crashes. 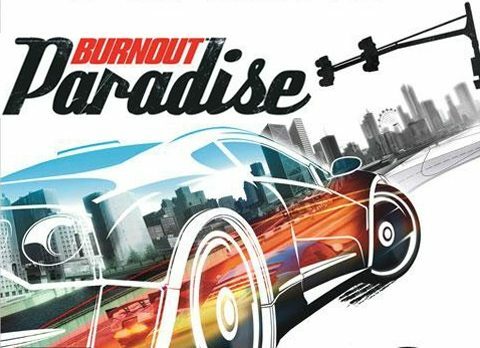 Initially, I found this to be very disappointing, as past arcade-like sports and racing games similar to Dangerous Driving have thrived on outstanding soundtracks. Fortunately, players with Spotify Premium have a way around this, as your account can be synced. While the Spotify PS4 app lets you play songs or podcasts over video games, Dangerous Driving actually incorporates this into the game, allowing players shuffle through and pause whatever they want. This is a very novel implementation and left a memorable impact on me when the first song to come on by pure chance was “Breaking Free” from High School Musical. The lack of a real soundtrack is quite disappointing, even more so for the Dangerous Driving players that don’t have access to Spotify Premium; that being said, this advanced Spotify integration has a lot of potential within the sports and racing game scene that I’d like to see future titles capitalize on. 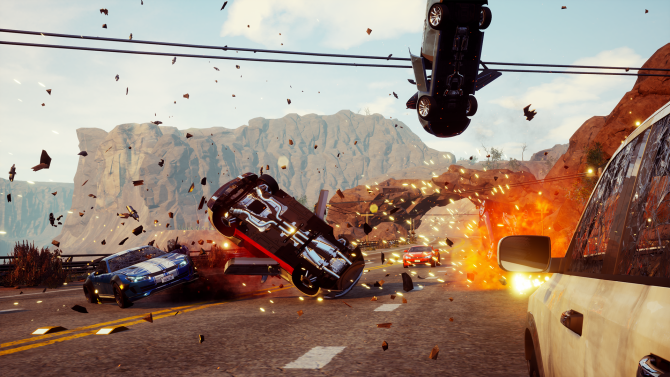 Like Burnout, Dangerous Driving’s primary focus is on speed and destruction. The game features a wide breadth of modes that cover a variety of playstyles. For the racing game fans who want to stick to something more standard, basic Races, 1v1 Face-Offs, the time trial Shakedown, and the 3-track long GP will be the most enticing. While the premise of these modes is reasonably standard, they are embellished by the pure speed and destructive nature of Dangerous Driving, which is unmatched by most of its peers. Still, I was drawn more to the modes focused on arcadey speed and destruction. First up is Heatwave, which turns off takedowns and puts an emphasis on speed and chaining boosts. If you like to play racing games for their speed, this will likely become a favorite. Then there’s Survival, a more traditional checkpoint race that should be loved by those who were addicted to racing games in the arcade. Dangerous Driving also features Pursuit, where players control a cop trying to takedown escaping cars. As a fan of this mode in Burnout 2: Point of Impact, I was definitely glad to see it return in Dangerous Driving. Eliminator takes out the player in last place after each lap, making it an excellent test for players as they learn to strategically boost and takedown other racers. My favorite mode, and what will likely be the favorite of many others, is Road Rage. As the title suggests, this mode tasks players with taking down as many of their opponents as possible within the time limit. Despite some physics problems, this is the mode I consistently returned to even after I got a Gold medal in every class. All of Dangerous Driving’s modes feel varied but still fleshed out. By doing this, the game can be relatively packed with content that will interest a variety of racing game fans. While I ended up liking some modes way more than others, Dangerous Driving will likely contain a mode that interests you. On the other hand, the way Dangerous Driving doles out said modes isn’t always smooth. Events are unlocked linearly as players progress in the modes unlocked from the start. Each class tends to start out with fairly standard Race or Shakedown mode before diving into the events that have a more significant focus on speed or destruction. I’d have preferred an unlock system that leaned into player choice, allowing them to choose what events in a given class they’d like to unlock based on how many medals they have received. If Dangerous Driving had an unlock system like this, players would be able to focus more on the modes unique to Dangerous Driving that they enjoy rather than treading through the cut and dry modes that can be found elsewhere to get to the exciting stuff. I also, unfortunately, ran into many problems with the game’s speed, physics, and destruction systems, which are all major draws on paper. While the visuals do lack the intricate weather and dynamic track effects of many of its contemporaries, that doesn’t phase me as much since Dangerous Driving is an indie title. That being said, a choppy frame rate and buggy physics do annoy me. Dangerous Driving can get surprisingly fast and sometimes my base PS4 would struggle to keep up. In speed-focused modes like Heatwave, my game would stutter fairly consistently and even hard-crashed one time. 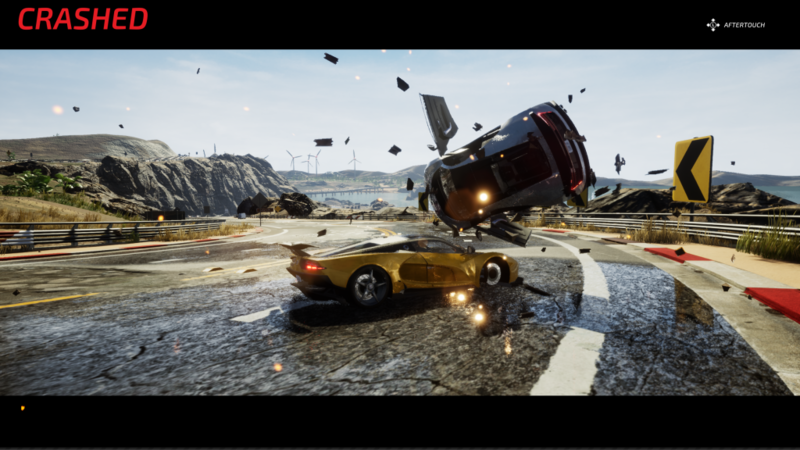 Most collisions seemed to be a 50/50 shot as to whether they would look cool or buggy and odd. With many crashes, my car and my opponents would either phase under the world or unrealistically be launched straight up in the air. With respawns, I’d sometimes be floating slightly in the air initially, have my controls locked after a hard collision, or face the wrong way. After crashing, destruction also tended to be fairly tame, though taking out other cars is still a lot of fun and the persistent wrecks did make later laps much more interesting. Even though many of these issues are negligible when viewed in isolation, they ultimately all combine throughout many of Dangerous Driving’s races to diminish an otherwise rewarding and nostalgic experience. Simply put, the industry doesn’t really make racing games like Dangerous Driving anymore. 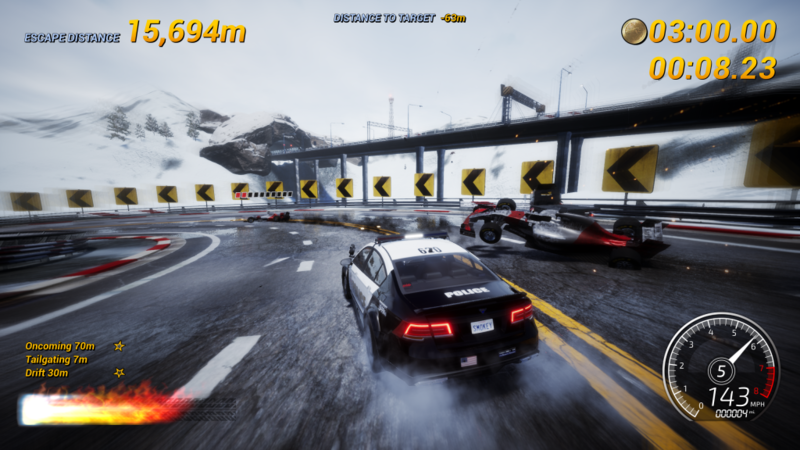 As a result, Three Fields Entertainment’s latest title ends up being a massive breath of fresh air that also capitalizes on the nostalgia towards mid-2000s racing games that weren’t caught up in realism and instead focused on pure thrills. Dangerous Driving‘s scope may have been a bit too big to be made by such a small team in a short amount of time, leading to a racing game that does feel janky and unpolished in some areas. On the other hand, the variety of modes, car unlocking system, and Spotify integration are all interesting and ambitious ideas in a genre often thought to be fairly stagnant. 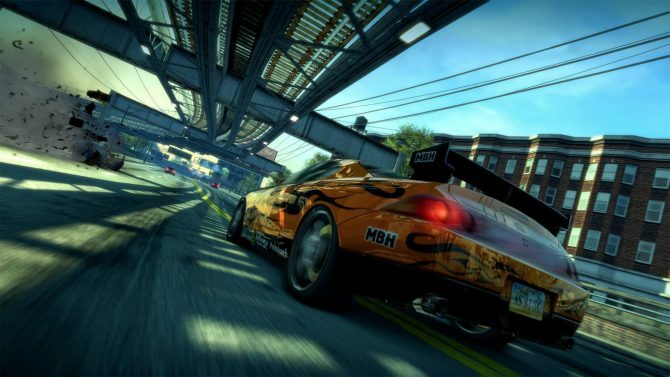 In a world without any new Burnout games, I’d love to see the creators of that series continue to iterate on this formula and cater to those of us who prefer thrills to realism in our racing games.